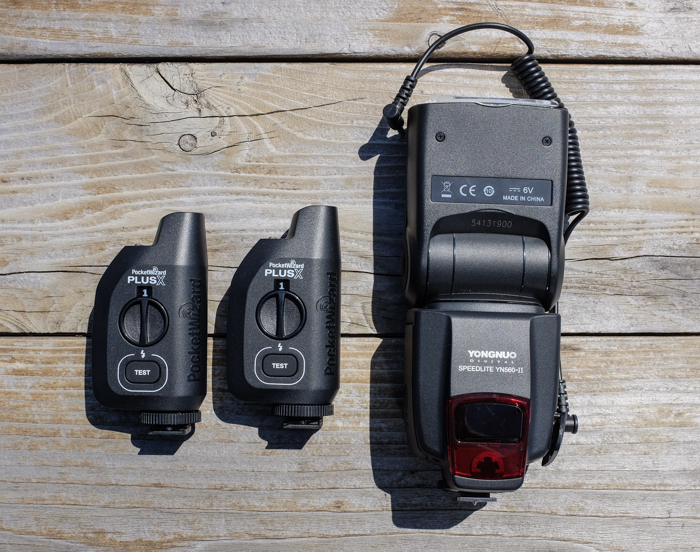 Two Pocket Wizard Plus X transceivers and one YongNuo YN560-II speedlight (affectionately known as the Kung Pao strobe…learned about this one from David Hobby/Strobist…it's cheap, it's manual, and fast recycling). 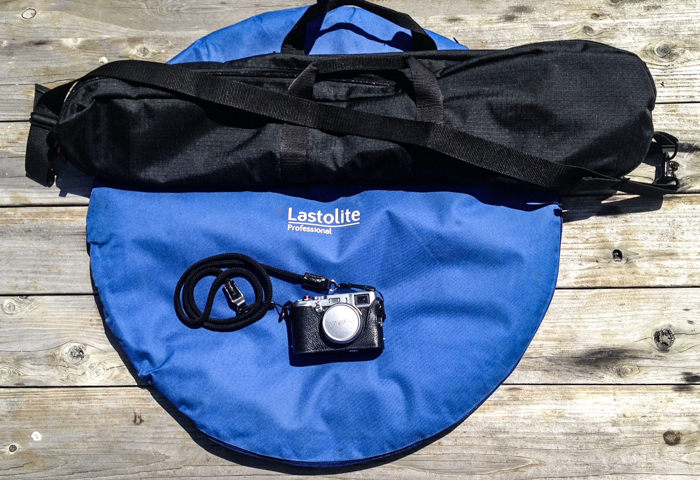 One Pocket Wizard goes in the hot shoe of my x100s and one connects to the speedlight with that curly cord there. The speedlight and its Pocket Wizard then get attached to the platform bracket on top of this Bogen telescoping monopod (which also has an umbrella adapter on it). 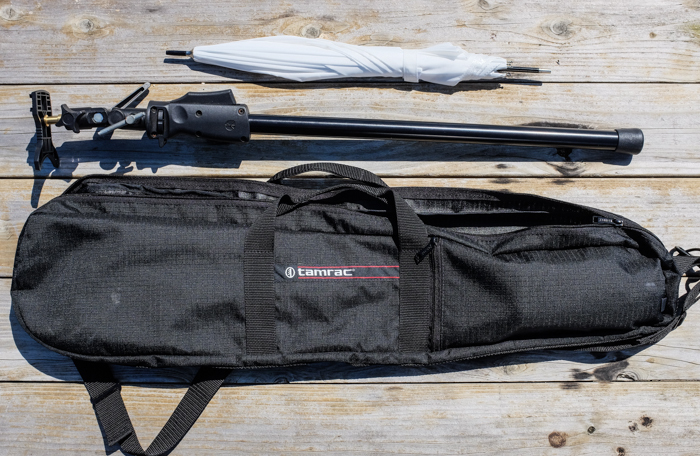 The umbrella slips into its spot on the adapter and the speedlight lights the subject through it (softening the light). The speedlight is triggered by the Pocket Wizard on my x100s when I press the shutter. Super portable, huh? So far, I'm extremely happy with the results I'm getting from this little kit!